Join BCC’s John Tworsky and Paul Carretta for a 2 hour continuation of Intermediate Digital Photography. This class is designed to provide the next step in your digital photography learning. Topics to be covered include advanced camera operation; setting white balance, raw file format and when to use, time exposures and flash. Additional photographic topics to be discussed include flash photography, composition, metering with a grey card, converging verticals and more. Suggested Pre-requisite: An adjustable camera or DSLR and our Intermedaite Digital Photography class. Of course there will be plenty of time for questions at the end of the presentation. Course handouts include test your knowledge assignments, Basic and Intermediate class reminders, special offers, computer tips and helpful programs. No money is needed in parking meters in Westwood after 6PM. The very basics of Auto mode, followed by how to get out of auto mode.This class focuses largely on scene modes and camera controls for exposure, white balance and focus. Composition and tips on improving photos are the main, non-technical areas that the class covers. This class is good for absolutely anyone with a camera, especially beginners and new DSLR owners. Join Bergen County Camera on Tuesday, July 14th from 7:00 – 9:00 pm. Tickets are $25 per person. Special guest, photographer Shelly Kusnetz, joins us on July 22nd from 7 PM until 9 PM to teach her great techniques of how to photograph children and capture the true essence of your child. With tips on the technical aspects and the personal approach. Tickets are $50.00. Learn more about Shelly on her website. 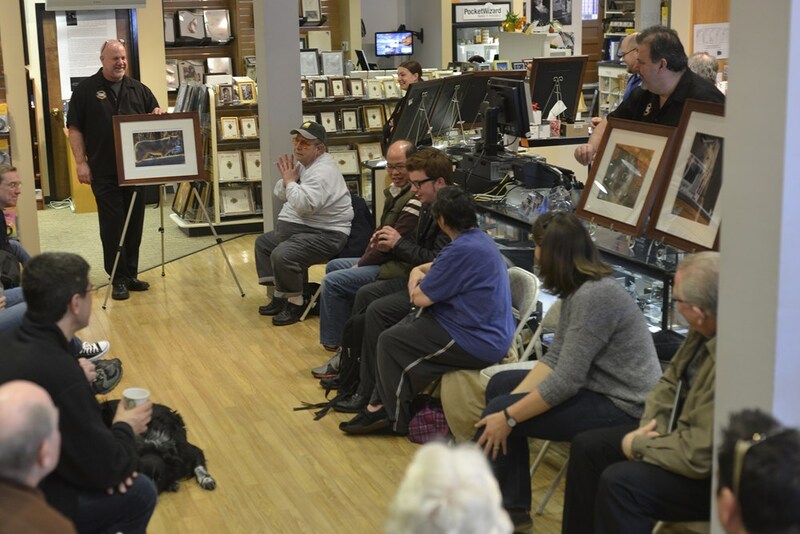 Join Bergen County Camera’s John Tworsky and Paul Carretta for a 2 hour introduction to Digital Photography. This class is designed to provide the basics of digital photography regardless of the type of digital camera you are using or even if you are looking to buy your first. Topics to be covered include basic camera operation, batteries, storage media, card readers, choosing a resolution, compression, limitations and advantages of digital photography, making prints & enlargements, and storing & archiving images. Of course there will be plenty of time for questions at the end of the presentation. You’ll also receive a list of assignments to test your knowledge. Join BCC’s John Tworsky for a two-hour class introducing Adobe Photoshop. This course is for first time and beginner Photoshop CS & Photoshop Elements users and will cover computer & program requirements, acquiring images, image formats, storage considerations and a basic overview of the capabilities of Photoshop. Examples include opening images, rotating, preparing images for email, preparing images for printing, image adjustments (brightness, contrast & color), fixing crooked images & scans and printing multiple images on a single sheet of paper. Although this class is presented on a PC, most if not all information will carry over to use on Macintosh. Join BCC’s John Tworsky and Paul Carretta for a 2 hour continuation of Basic Digital Photography. This class is designed to provide the next step in your digital photography learning. Topics to be covered include exposure (f-stops, shutter speeds, ISO), using shutter speeds to control motion, using f-stops to control depth of field, and ISO to control sensor sensitivity. We’ll talk about composition, tripods, monopods, self timers, keeping your images safe and more. Suggested Pre-requisite: Basic Digital Photography. Of course there will be plenty of time for questions at the end of the presentation. Course handouts include test your knowledge assignments, basic class reminders, special offers, computer tips and helpful programs. No money is needed in parking meters in Westwood after 6PM. Bring the family in to Bergen County Camera on Thursday, June 18th from 6:00 PM until 8:00 PM for a night filled with fun and photography. While Mom or Dad learns how to use a Canon DSLR, the kids will get to design a custom photo mat. Mom or Dad can take a photo of their kids in our in-store studio and we’ll print a free 8×10 on a Canon Pixma Pro Printer. We’ll then mat the photo with the custom mat designed by your children for a great photo present for Father’s Day. Pizza and chicken nuggets will be served. Plus, we’ll have incredible deals on Canon printers available that night only! Join us on Saturday, April 25th from 11 AM until 1 PM at the Park Ridge Marriott for a free Canon Experience Day. Join the Fun and Rev Up Your Family Photography! An internationally published freelance photographer based in NYC and longtime Canon enthusiast. Amanda finds a daily mission in discovering new and interesting photos. She specializes in portrait, event, and wedding photography. If you recently started taking photos with, are looking to buy, or have never felt comfortable with your Canon or Nikon Digital SLR, we have several upcoming classes to help you enjoy your camera. On Tuesday, March 18th from 6:30 pm – 9:30 pm at the Westwood Community Center, we will be hosting Canon Discovery Day – Essential Functions of Your SLR Camera. Enter the world of the digital SLR and learn about your camera, and how to make great pictures with it. We’ll take you out of “automatic,” but we won’t overload you with too much detail. You’ll see many examples of great photography, and learn techniques to use exposure, composition, flash, and a variety of lenses to get the same types of results. Our Basic Discovery Day class is a three-hour investment in your EOS digital SLR that will pay dividends over and over as you grow with your camera system. Tickets for Canon Discover Day – Essential Functions of your SLR are available now on eventbrite or at Bergen County Camera in Westwood. 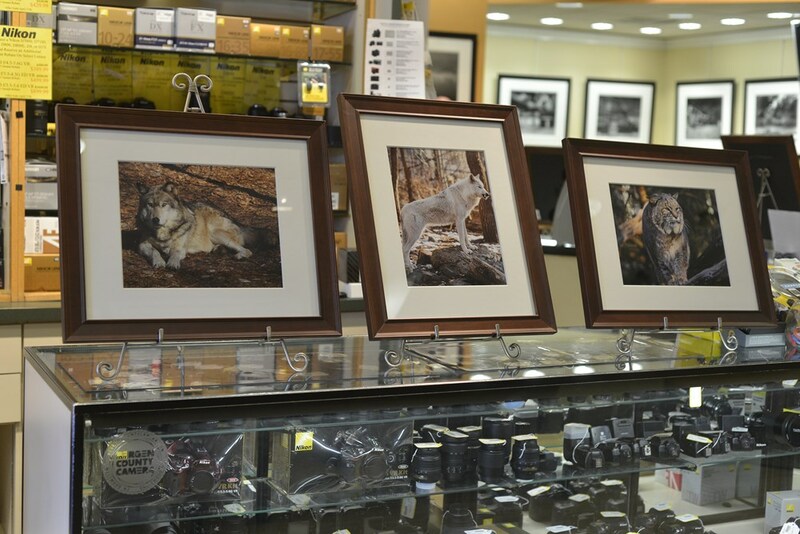 We have two upcoming Nikon Seminars. A Basic level seminar on April 2nd entitled, “Introduction to your SLR” and a Intermediate seminar on May 6th entitled, “Tips and Tricks”. The Basic Level Class on April 2nd, covers the very basics of Auto mode, followed by how to get out of auto mode. The class focuses largely on scene modes and camera controls for exposure, white balance and focus. Composition and tips on improving photos are the main, non-technical areas that the class covers. This class is good for absolutely anyone with a camera, especially beginners and new DSLR owners. 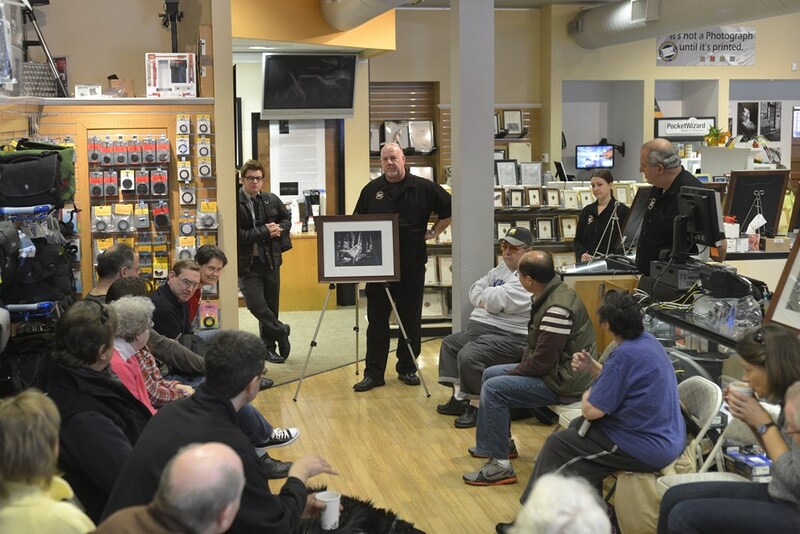 Tickets for Nikon’s Basic Seminar on April 2nd are available now on Eventbrite or at Bergen County Camera in Westwood. The Intermediate Class on May 6th, covers many of the topics that one might explore after learning the basics of camera terminology and exposure. Topics covered include flash photography, custom settings, lenses, autofocus settings, metering and more. 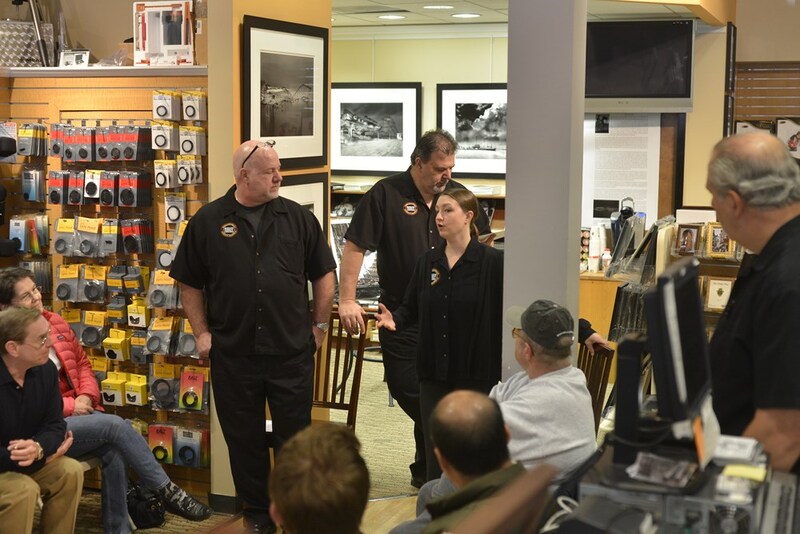 Tickets for Nikon’s Intermediate Seminar on May 6th are available now on Eventbrite or at Bergen County Camera in Westwood. We hope you can join us for at least one of these excellent learning opportunities from Canon and Nikon.